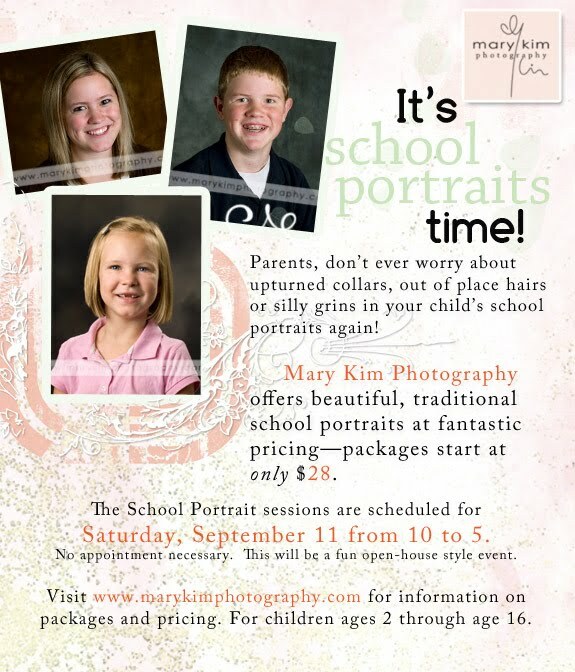 This Saturday, September 11th, Mary Kim Photography is having an Open House! Come for FREE food and treats while your kids get photographed. No appointment is necessary. Map of location. 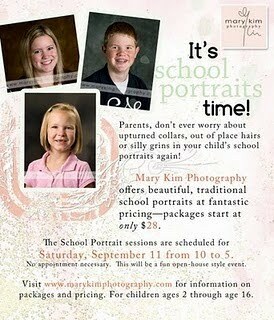 For ages 2 through 16. Information on Packages & Pricing. 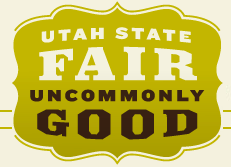 Utah State Fair starts today! Go here for discount tickets! FREE admission tickets to the Greek Festival here!